Thankfully, cancer in children is rare – but it’s still a good idea for everybody to be aware of the possible warning signs and symptoms. According to Cancer Research UK, around 1,800 youngsters aged 0-14 years are diagnosed with cancer each year in the UK, and cure rates for children are generally much higher than adult cancers too. In fact, thanks to breakthroughs in research and treatment developments, Macmillan reports that childhood cancer survival rates have more than doubled since the 1960s (on average, around 82% of kids diagnosed with cancer will now be completely cured). The most common type of childhood cancer is leukaemia, which accounts for about a third of all cases, followed by cancers of the brain and spinal cord, which account for a quarter. But what are the signs and symptoms to look out for? Remember, these don’t automatically mean cancer and are often caused by something far more common and harmless – however, it is always best to get things checked with your doctor, so make an appointment with your GP if you have any concerns (and if symptoms persist, you can always go back for another chat). Keep an eye out for any unusual changes in their toilet habits, particularly blood in the urine, or difficulty passing urine. A child with cancer may bleed more than expected, after a minor injury or nosebleed for example. The occasional stomach ache is very common in kids, but if they’re complaining of an ongoing stomach ache, or you notice their tummy looks swollen, get it checked. Leukaemia cells can accumulate in the spleen, liver, and kidneys, causing abdominal organs to enlarge. Are they saying their back, bones or joints keep hurting? Ongoing aches and pains of this nature can sometimes be linked with cancer, so make an appointment and get things checked. Seizures are one of the most common symptoms in paediatric brain tumours, and should always be investigated. Everybody gets headaches from time to time – but if they seem to be happening frequently or are getting worse, see your GP. Kids are prone to bumps and bruises – but if they seem to be unusually prone to bruising, or bruises appear for no clear reason, this may be a sign of cancer. An unusually pale complexion, and a rash with red or purple spots that won’t go away are also possible symptoms that it’s best to get checked. 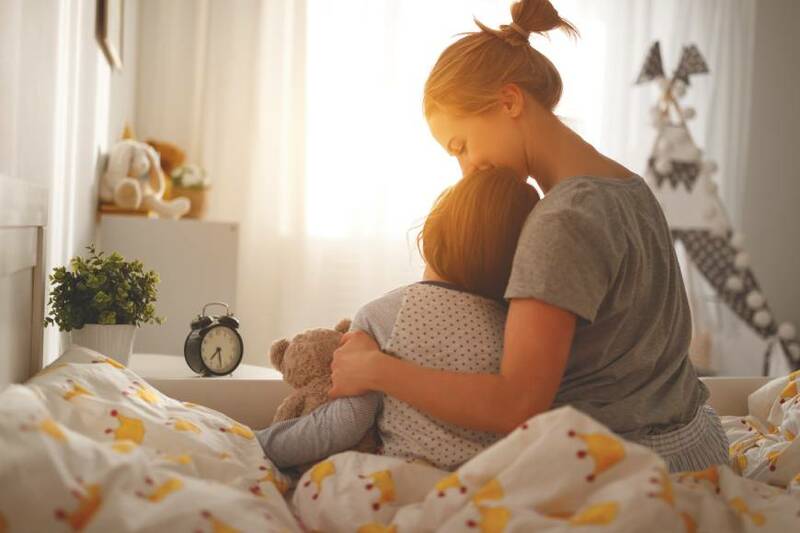 Just like adults, children can get exhausted – but unusual and ongoing tiredness can be a warning sign that something’s wrong. While lots of other things can cause tiredness, make an appointment and chat things through with your GP. Cancer can affect white blood cells, which may mean they’re more prone to infections and flu-like symptoms. Bouts of sickness are very common in young children and usually caused by something minor. But unusual vomiting, especially if it’s occurring regularly, should be checked out, just in case there’s something else going on. These symptoms are also associated with minor infections like coughs and colds. But if you’re concerned or the fever seems unusual, check in with the GP. Cancers in children can be hard to recognize right away because early symptoms are often like those caused by much more common illnesses or injuries. Get aware, be involved! Follow @angelsofloveja on Instagram in support of Childhood Cancer Awareness month. Cancer can also affect a child’s appetite, or mean they’re not able to eat as much as they normally would. It can also affect how the body uses up energy, resulting in an unexplained drop in weight. Being short of breath may be due to conditions like asthma or chest infections, but it can also occur with cancer. Leukaemia cells can clump around the thymus gland at the base of the neck, making breathing more difficult. Seeing a white reflection in a child’s eyes in photos is often due to light shining off the optic nerve, which is completely harmless. However, the white reflex could be a sign of retinoblastoma, a rare form of eye cancer that affects babies and young children mainly under the age of six.